On April 3, 2003, the man who claims the leadership of Russia’s twenty million Muslims brandished a sword at a rally of 4,000 people in Ufa, Bashkortostan, and declared a jihad against U.S. forces and U.S. President George Bush, ‘the Anti-Christ of the world’. The man was Mufti Talgat Tadjuddin, the ethnic Tatar leader of the Spiritual Board of Muslims of Russia and the CIS (TSDUMR). Tadjuddin suggested that the jihad would take the form of a fund to buy weapons and food for the Iraqis. The Mufti emphasized that the declaration of jihad was only the second in modern Russian history, the first having been made against Germany at Stalin’s instigation in 1941. On April 15, a huge rally was organized by Duma deputy Ghadzhi Makhachaev in the Daghestan capital of Makhachkala. Numerous politicians and religious figures declared that 8,000 Daghestanis were ready to defend Iraq from an American invasion, a figure confirmed at the time by the Iraqi Embassy, which claimed to have the names and signatures of all 8,000. Just before the outbreak of the war in Iraq, Tadjuddin visited Baghdad at the head of an interfaith Muslim and Orthodox peace mission. While there, Tadjuddin postured grandly, calling President Bush a ‘drunken cowboy’ and vowed to remain in Iraq throughout any American invasion. In the end, Tadjuddin returned to Russia with the rest of the mission before bombing began. On his return, Tadjuddin accused the UK of both inventing and supporting ‘Wahhabism’. With reference to the Americans, the Mufti announced that ‘every inch of land will burn beneath the feet of the warmongers’. In Daghestan, early enthusiasm translated into the departure of only two Siberian Tatar volunteers for the front and a reversal a month later by Makhachaev, who declared the efforts of the Foreign Ministry on Iraq to be sufficient. Makhachaev is a major player in the often brutal world of Daghestani politics, and participated in the May 1998 Islamist assault on the Daghestan Parliament led by the Khachilaev brothers. On March 26 Makhachaev survived an assassination attempt by an unknown assailant when he answered his cell phone just in time to have it block an otherwise fatal shot to the head. It remains unclear whether the attempt was related to Makhachaev’s political role or his control of the Daghestan oil industry. Soviet official Islam was rigidly controlled with a central administration and four geographically based muftiyats. Since perestroika, Russian official Islam has broken into two major muftiyats (led by Tadjuddin and his main rival Ravil Gaynutdin) and dozens of lesser groups, all with overlapping spheres of influence. Nearly all the half-dozen major Islamic leaders in Russia are Tatar, with the exception of the powerful Duma deputy, Abdul-Wahid Niyazov, a half-Tatar convert to Islam. While most are related by marriage into a spiritually powerful Tatar clan, the Muslim leaders spend an inordinate amount of time accusing each other of promoting ‘Wahhabism’ or various obscure heresies. In contrast to the silence that met the Daghestani declaration of jihad, there was a furor throughout Russia at Tadjuddin’s statements. Movladi Udagov, a Qatar-based leader of Islamic-minded Chechen separatist groups, accused Tadjuddin of being an agent of the FSB (Federal Security Service), and proclaimed the imam to be an apostate, the most serious charge in Islam. Siberian-based Mufti Nafigulla Ashirov initially spoke of ‘tens of thousands’ of Russian Muslims ready to fight in Iraq, but later said that no Russian Muslim took Tadjuddin’s declaration seriously. Despite being a frequent visitor to Iraq himself, Chechnya’s Kremlin-appointed governor Akhmad Khadyrov, a former Mufti of Chechnya, called Tadjuddin’s declaration ‘mindless self-promotion’. Even the chief Mufti of his own power base in Bashkortostan failed to support Tadjuddin. Tadjuddin’s most serious challenger for President Putin’s favor is a former protégé, Mufti Ravil Gaynutdin, leader of the Council of Muftiis of Russia (SMR). In recent years, Gaynutdin has attempted to make Moscow the capital of Russian Islam, with the financial and political aid of Russian Mayor Yuri Luzhkov. Gaynutdin was scathing in his response to Tadjuddin’s jihad, calling the Mufti a ‘false prophet’, whose call for jihad carried ‘neither clerical nor legal nor moral force’. The Russian Justice Ministry warned that any military aid or intervention in Iraq by Russian citizens would be subject to criminal investigation and there were threats from the Prosecutor-General’s office that the TSDUMR could be disbanded for inciting religious hatred. In their attempts to garner the Kremlin’s support, Gainutdin, Tadjuddin and other leading Muftis all proclaimed the legitimacy of the recent referendum on Chechnya’s future in the Russian Federation. Tadjuddin made sure to note that his organization was the first to support the referendum, calling it ‘a necessary measure against terrorists’. The referendum campaign was accompanied by several gestures from Russian authorities to reach out to the Russian Islamic community at a time when Muslims are alarmed at the growing patronage of Russian Orthodoxy by the Kremlin. Lacking popular support, the Daghestan jihad amounted only to a war of words. The demonstrations of anti-American militancy in Ufa and Makhachkala appear to be unrelated. There is little contact between the leaders of the North Caucasus muftiyats and those in the Volga/Urals region. Islamic revival in the latter area is closely tied to Tatar and Bashkir nationalism. Tadjuddin’s declaration followed a fractious meeting in late March of all Russia’s Islamic leaders, a failed attempt by the Kremlin to unify official Islam as in Soviet times. 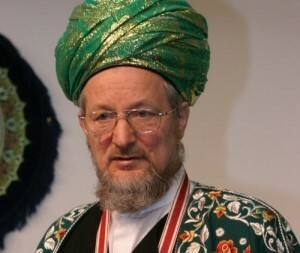 Tadjuddin was one of the ‘young Imams’ who emerged from Central Asian religious schools in the 1980s. These individuals opposed the passive pro-Soviet conduct of the older spiritual leaders and actually succeeded in gaining a number of concessions from the government before religious laws were relaxed in 1990, permitting the modern Russian Islamic revival. By the early 90’s, Tadjuddin was himself being challenged by a new generation of ‘young Imams’ on nearly identical charges, with the addition of schizophrenia. Tadjuddin’s jihad may thus be regarded as a desperate attempt to exploit public opinion to outmaneuver his rivals in official structures and the young Tatar radicals. There remains the possibility that the ever-pliant Tadjuddin was encouraged by the Kremlin to adopt a militant pose, a discrete means of communicating Moscow’s displeasure with Washington’s campaign in Iraq. This article first appeared in the May 21, 2003 issue of the Central Asia-Caucasus Institute’s CACI Analyst.